The explosive growth of the Internet of Things (IoT) is changing our world, and the rapid drop in price for standard IoT components is allowing people to innovate new designs and products at home. 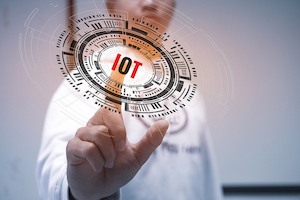 IoT devices require a broad set of wireless connectivity options and networking protocols. From wearables to smart appliances to automobiles, connected devices also need scalability for resource-constrained devices, feature-rich graphics, improved battery life, security for data storage and transmission, authentication, and support for cloud integration.